Using Poweramp in the car. When tablet goes to sleep and wakes up again, the song plays from the beginning instead of picking up when it was left off. 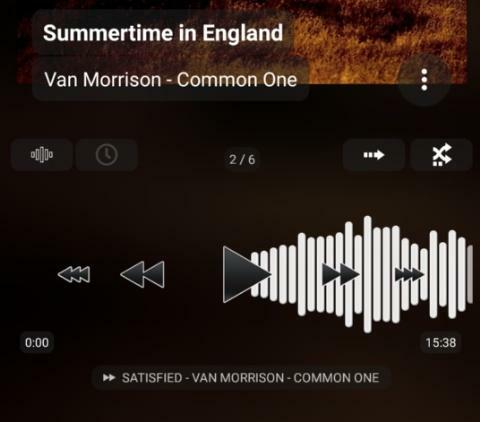 Poweramp v2 picked up the song when it was left when suspending the tablet. This is the only thing preventing me from migrating. As you can imagine it's very annoying when you make a lot of short trips in the car. Every time starting the engine / tablet plays the song from the beginning. So it starts the correct song ? Then this is the normal behaviour. No it's not, it should remember the position within the current song too. @Michal you started by saying about this happening when your device went to sleep and re-wakes, but then you say it happens when you turn your car engine on or off? Is this a built-in Android device (in which case it is probably cutting the power too quickly and not allowing PA to save its state gracefully) or an actual external tablet which runs on its own batteries and is just charged by the car? @Andre it doesn't cut off the power, the tablet is always powered on. When engine stops it goes to the battery as a normal external tablet (you can still wake it up by pressing power button briefly). It just goes into suspend mode to conserve battery (airplane mode etc). It doesn't kill PA when suspending. It's just a nexus 7 external tablet not a built in device. Poweramp v2 handles suspend mode OK and resumes always when it stopped after suspending. Im using marshmallow with car kernel by timur. @blaubär setting the option in library to even 0 minutes and disabling battery optimisation for PA doesn't help. After waking up the song is still played from the beginning ignoring the listening progress from the previous session. 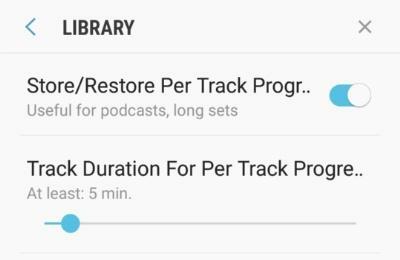 I have added tasker to pause the PA just before suspending, and even pausing it before suspending manually doesn't help. Still plays from the beginning. As I said PA v2 worked flawlessly. What happens if you pause and exit PA manually before putting your device into standby, and then launch it again after the device has been woken up? Paused manually, exited and suspended. Woke up and... Song is played from the beginning. All other things OK, resume on Bluetooth, library continue when left off etc. I even ticked to leave PA service running in the background. Now interesting thing. This happens with files played from the OTG USB stick, if the file is stored locally its fine. Looks like PA resets the progress when OTG becomes available. However, this was completely fine in v2 so I'd like to have it in v3 as all the files are on the OTG stick. Ah, that sounds like the problem, the OTG stick is getting unmounted during the sleep/resume process, so possibly Poweramp's scanner if checking too early and does not think it is the same song as before. If you untick keep background services/etc, and then tidily exit from and then resume PA (after leaving some time for the USB to mount) does that change anything? Unticked keep service, disabled auto scan so it doesn't do anything when usb connected. Paused, exited, suspended and... Still the same behaviour. But pause, fully exit and then restart (but without suspending the device) works OK? Yes. Even killing PA works OK on resuming the song. Seems to be a problem with otg mount / unmount but, again, v2 did not have any problem with it so I'd expect v3 should work exactly the same. Just a thought, maybe v2 stored info re progress locally and v3 tries to write to the otg USB? Progress is saved in the database as far as I know, so even though you have turned rescans off I think it must be an OTG mounting issue. I think we need Max's input on this one. One thought - if you exit PA, then shut down your device, then turn it back on and wait a bit before re-launching Poweramp, does that help? Thank you ! Of course it should remember. I was confounded by my Samsung S7 ( Oreo, Build 820, mp3 on SD ) that temporarily did otherwise. A full rescan solved that. @blaubärfull rescan doesn't help either. There must be a change in how v3 handles otg unmount. 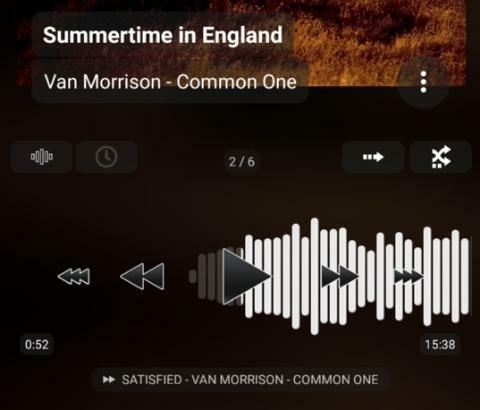 I hope this is fixed like v2 behaves as otherwise I'm very satisfied with v3, especially the sound quality and shuffle that seems to work perfectly with no repeats.